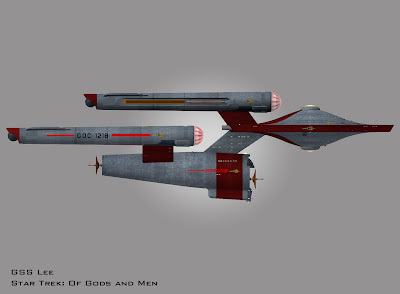 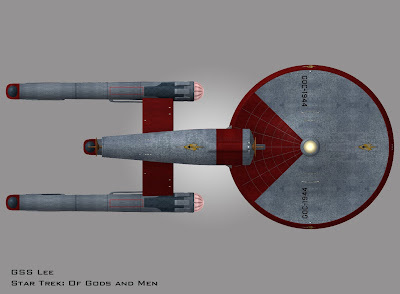 Was checking out some Trek models over at Starship Modeler - tracking down some reference on the Baton Rouge class - when I came across a request for references of the GSS Lee - one of the ships from Star Trek: Of Gods and Men. 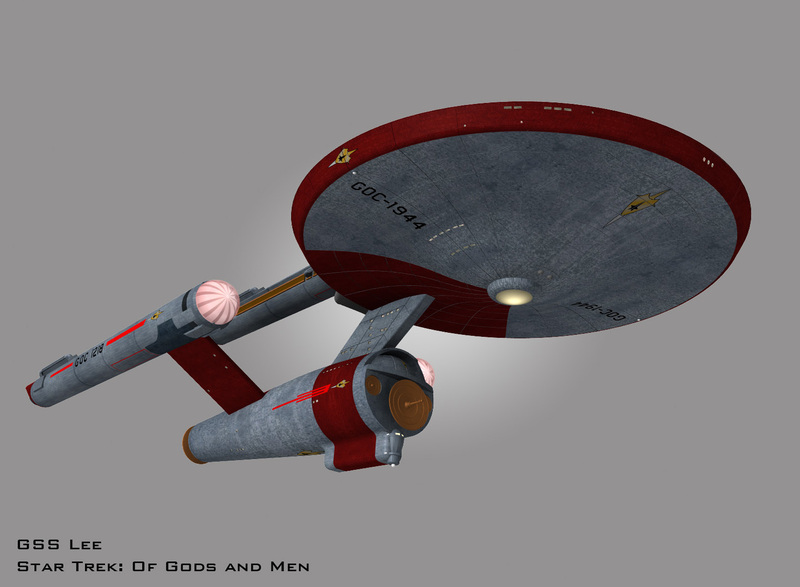 A bit of a delve through the backup drive and I was able to find the Lightwave version of the model. It was originally built by Wil Jaspers in 3DS Max, then ported over to Lightwave by yours truly. It is based off the Franz Jospeh Dreadnaught as seen in the Star Trek Technical Manual. 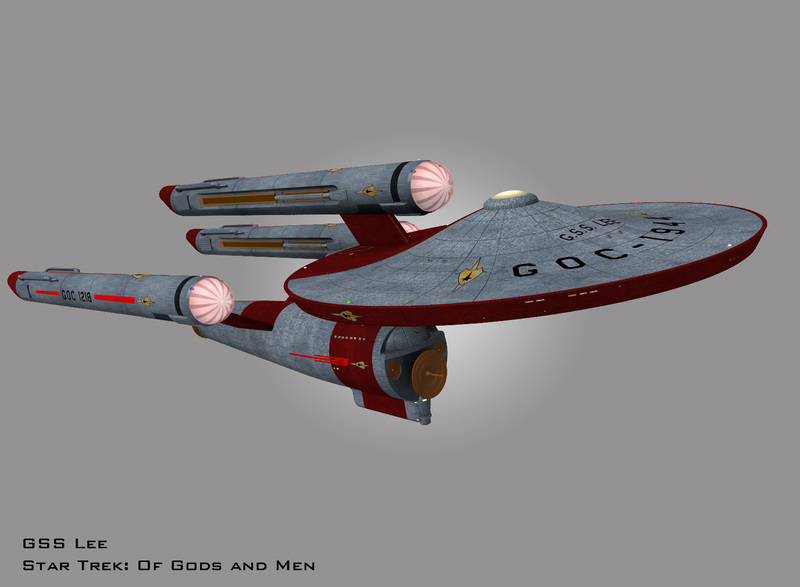 Excuse the basic lighting - they were just rendered out as reference images for the model aficionados. As a side note the lunatic who provided the camera work where the Lee was seen in OGAM pulled a Bozeman and named her after his hometown of Lee, MA. And gave her the NCC of the year his father was born (also in Lee).